It is always very exciting for an author when they first hear a narrator narrating their story; it is as if the book comes alive in the voice of the actor or actress. Characters, that could formerly be heard in the author’s mind alone, are now out there for anyone to hear. This is why the fact that Recognitions, my first novel, is now available as an audio book, is huge for me. 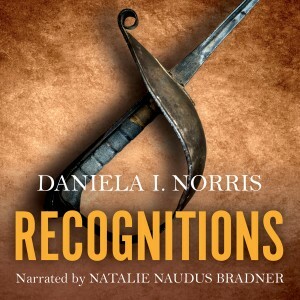 I hope that you, too, can enjoy the beautiful narration of Natalie Naudus Bradner!